How cute is this dress for spring and summer?? This Spring Denim Midi Dress is one piece you’re going to want in your closet. 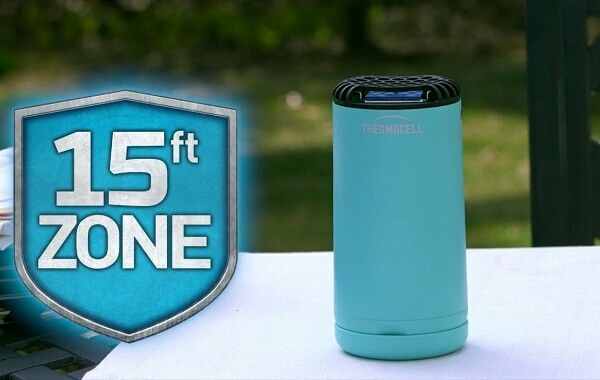 Right now, you can grab this for just $25, down from $65. This dress is made from a super soft cotton blend and will become a wardrobe staple. It’s feminine and flirty, and it’s something you’ll reach for over and over again. Pair this with sandals or flip flops for a casual look. Or, dress this up with heels or wedges! 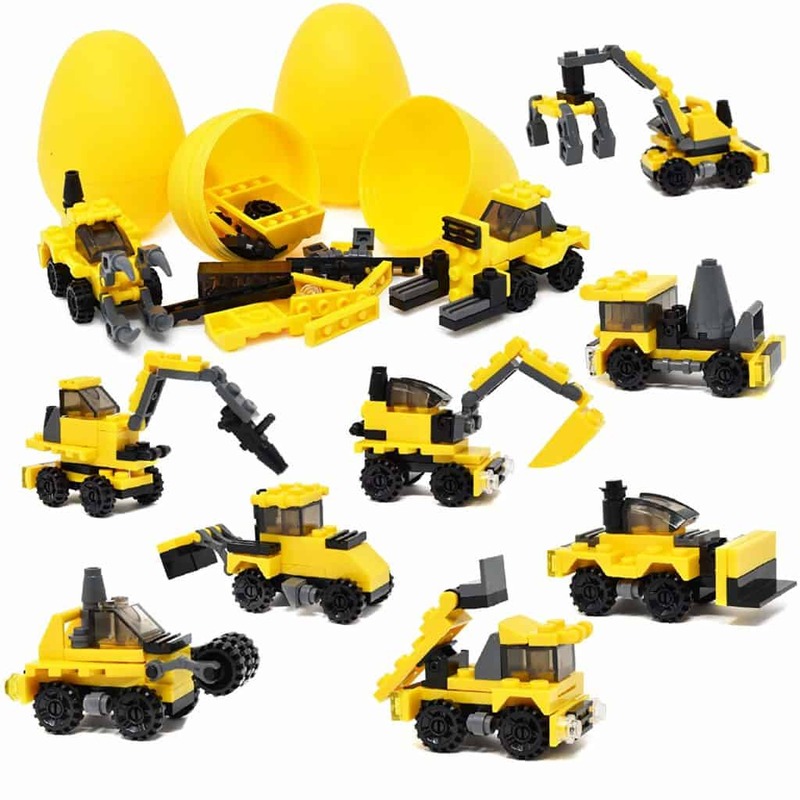 I am always looking for new ideas of little toys and trinkets to put in Easter eggs that aren’t candy. They’re more fun for the kids, something they can keep forever and it makes for a lot less sugar. If you’ve been looking for some ideas, too, here are some fantastic Non Candy Easter Eggs for the Kids that they will love! 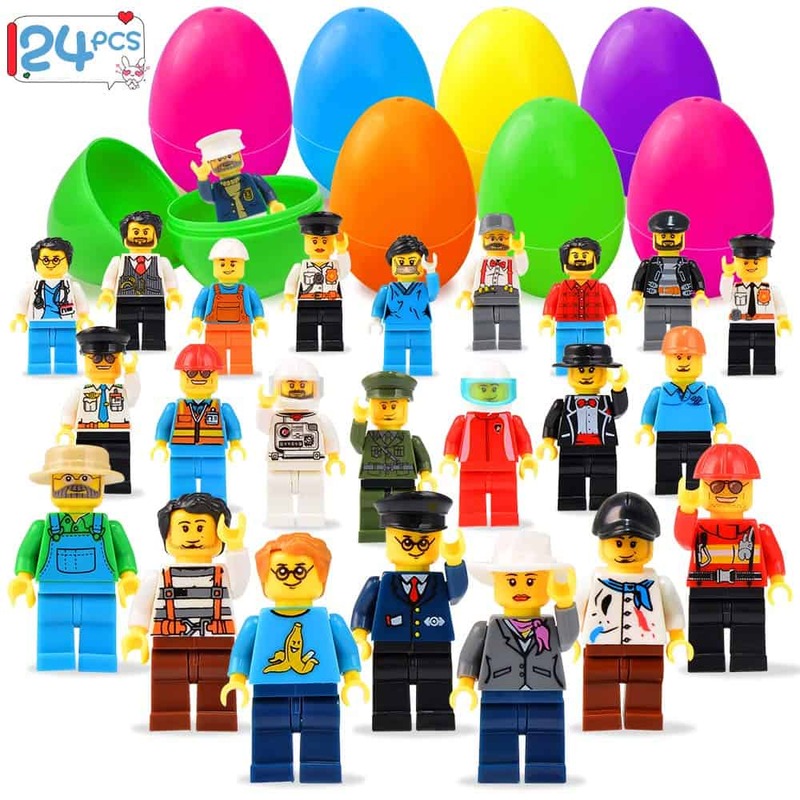 My daughter LOVES LEGOs, so this set of 24 eggs filled with LEGO minifigures will be a hit! These are things she can play with all the time, so they’ll keep her plenty busy – especially when school gets out! How many of your kids love the Mochi Squishy Toys?? These eggs are the perfect option for them! 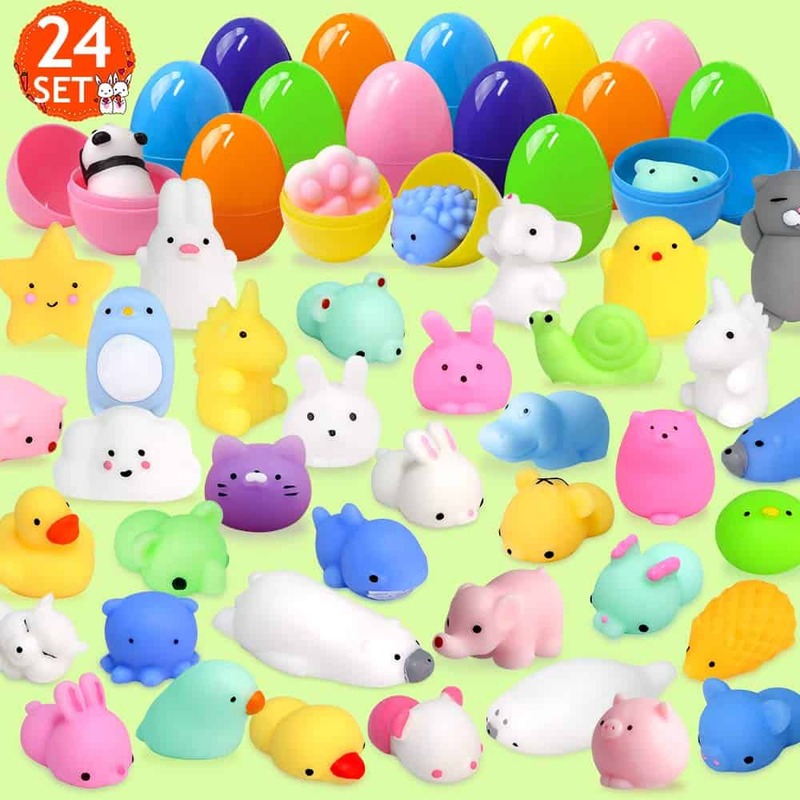 You’ll get 24 eggs filled with Mochi squishy toys in this set! 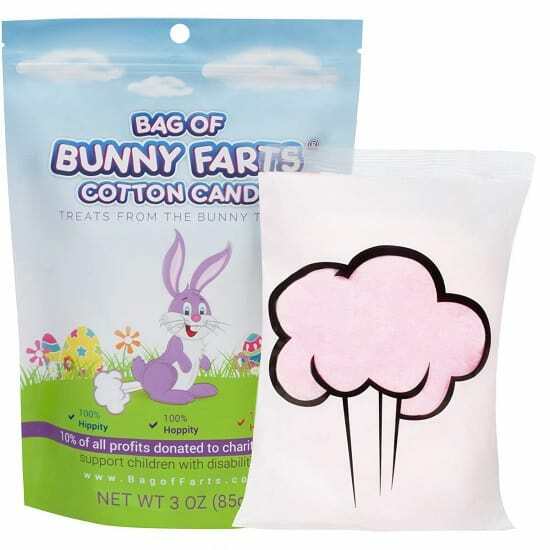 My daughter would be super excited to find these on her Easter egg hunt! 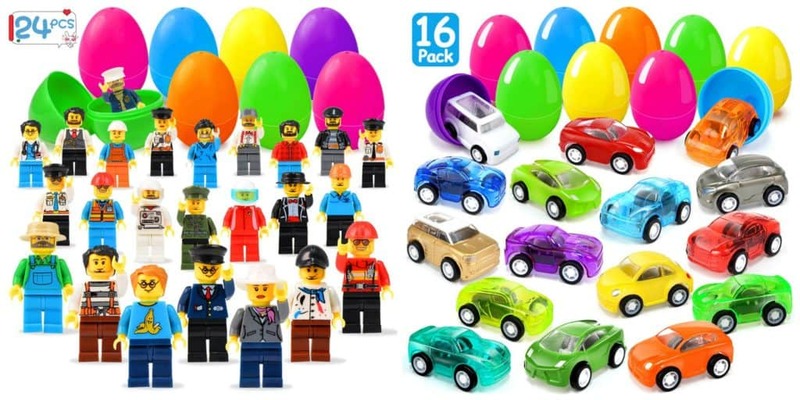 If your kids love to play with cars and trucks, they’ll be super excited to find these Easter eggs filled with construction vehicles! You’ll get 12 eggs in this set. Kids love finger puppets. They’re such a fun way to create little shows and to just play with when they’re looking for something fun to do. 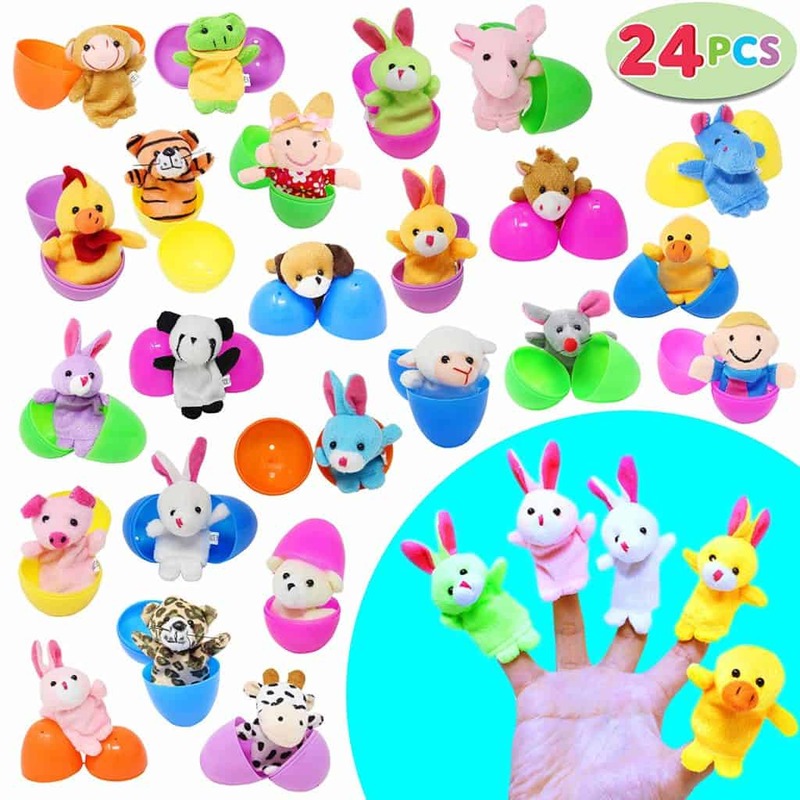 This set of 24 Easter eggs are filled with cute finger puppets. These animal figures are so much fun! 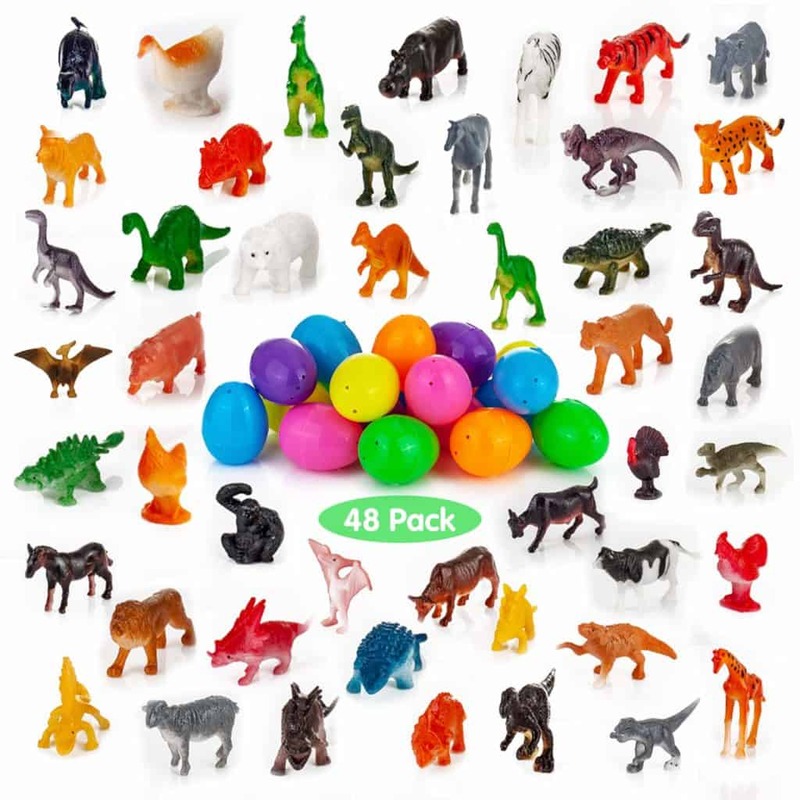 You can get this set of 48 Easter eggs filled with animal figures. These will get used and over and over. Kids will have a blast making up scene after scene with them! If your kids love playing with cars, they’ll love these pull back cars! 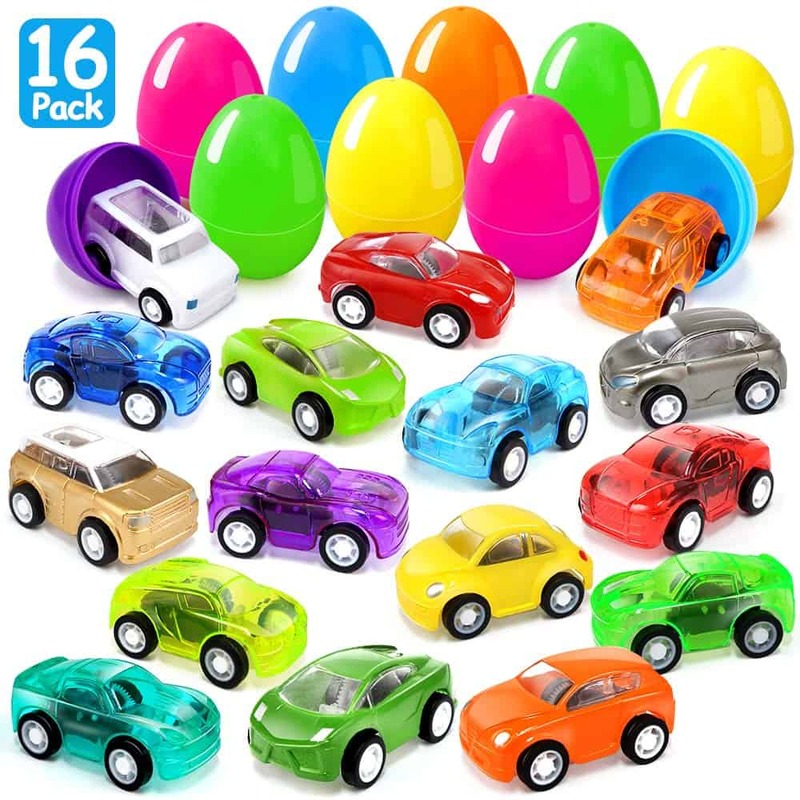 You can get a set of 16 Easter eggs with pull back cars in different colors and styles. These would be so much fun to race across the house! I Shrunk My Best Friend! Initial necklaces are popular, and the large letter necklaces are trending right now. If you’ve been wanting one of these necklaces, you’ll want to grab this one while it’s on sale for just $13 (reg. $35). An initial necklace is something that every woman should have in her jewelry collection. It’s the perfect personalized gift to gift someone for thier birthday or Christmas. And, this necklace is great to layer! Add a couple of other necklaces that are a little shorter for a unique, trendy look.